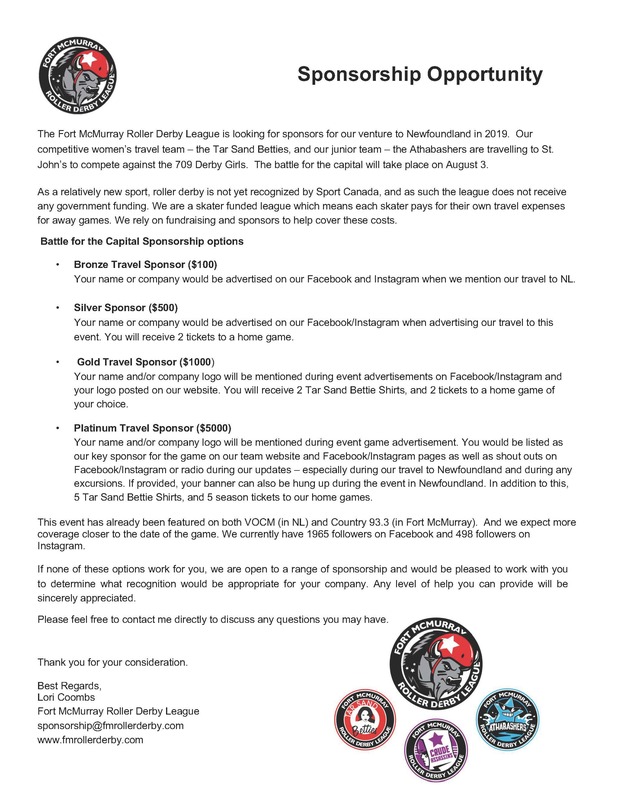 Fort McMurray Roller Derby League offer a variety of different sponsorship options. The choice is all yours! If there is something you are interested in that is not listed here, please contact us. Sponsor us to go to newfoundland! 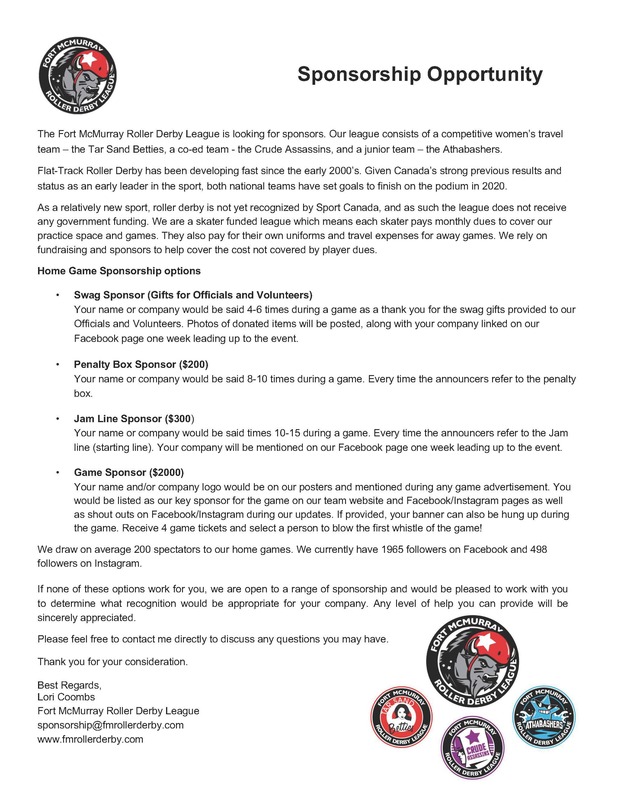 Sponsor us for the 2019 season!